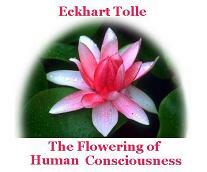 Consciousness is the quality or state of being aware of an external object or something within oneself. It has been defined as: subjectivity, awareness, sentience, the ability to experience or to feel, wakefulness, having a sense of selfhood, and the executive control system of the mind. Despite the difficulty in definition, many philosophers believe that there is a broadly shared underlying intuition about what consciousness is. As Max Velmans and Susan Schneider wrote in The Blackwell Companion to Consciousness: "Anything that we are aware of at a given moment forms part of our consciousness, making conscious experience at once the most familiar and most mysterious aspect of our lives." Every organism is alive only because of the soul dwelling within it. To the skeptical, belief in a soul sounds superstitious. But occurrences documented by medical practitioners suggest its validity. A spirit or living soul resides within each living organism. Animals are also conscious, but humans are conscious of being conscious. The spirit soul, or atma in Sanskrit, is the source of consciousness. The soul can either devolve to lower or evolve to higher levels of consciousness.According to the Vedas, this last transition or evolution is not biological, but rather a spiritual awakening or freeing of the entrapped soul from its coverings of ignorance and an unleashing of the dormant powers of spirit: eternity, knowledge, and bliss. If all creatures are conscious in some way or other, then consciousness is not something that evolved with human beings, or with primates, mammals or any other particular degree of biological evolution. It has always existed. What emerged over the course of evolution were the various qualities and dimensions of conscious experience -- the contents of consciousness. Philosophers since the time of Descartes and Locke have struggled to comprehend the nature of consciousness and pin down its essential properties. Issues of concern in the philosophy of consciousness include whether the concept is fundamentally valid; whether consciousness can ever be explained mechanistically; whether non-human consciousness exists and if so how it can be recognized; how consciousness relates to language; whether consciousness can be understood in a way that does not require a dualistic distinction between mental and physical states or properties; and whether it may ever be possible for computers or robots to be conscious. Self-consciousness----As we reflect upon our own consciousness, it seems that there must be an experiencer -- an individual self that is having these experiences, making all these decisions, and thinking all these thoughts. But what is this self? What is it really like? What does it consist of? What is Christ-consciousness? You too can attain to it! 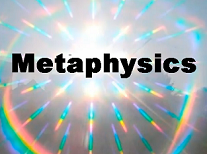 Information about metaphysics and new age philosophy, metaphysical videos and resources and info on science and spiritulity. Information about what holistic and alternative health and medicine is and what it does, along with info on mind-body medicine and energy healing. 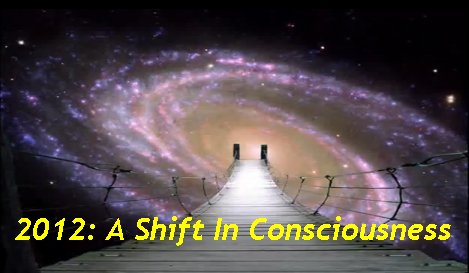 New age information about the connection between science and spirituality, understanding quantum spiritulity and the quantum reality. Accept the present moment. It is resistance to the present moment that creates most of the difficulties in your life.. The Awakening A film by Max Igan exploring humanity, society and consciousness.